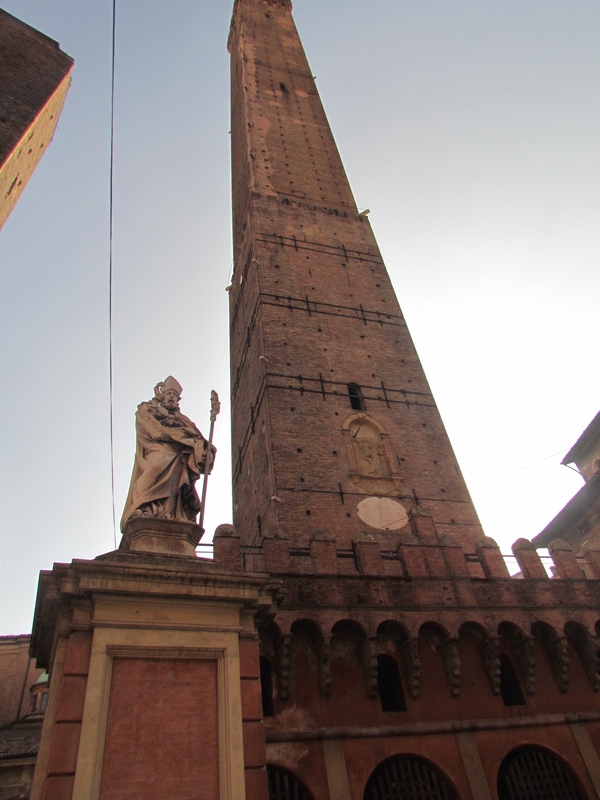 Anyone who visits the Italian City of Bologna cannot help but notice the famous leaning twin towers, the Asinelli and the Garisenda, located only a few meters from Piazza Maggiore in the center of the Bologna. The towers are featured in my latest story, “The Search for the Rafaeli Necklace.” During the 12th and 13th centuries, as many as 180 of these towers filled the skyline. Today only 21 remain. The towers were named after the wealthy families who financed them. Some served as watchtowers for defense purposes, however most were built to indicated the status of the families who paid for them. 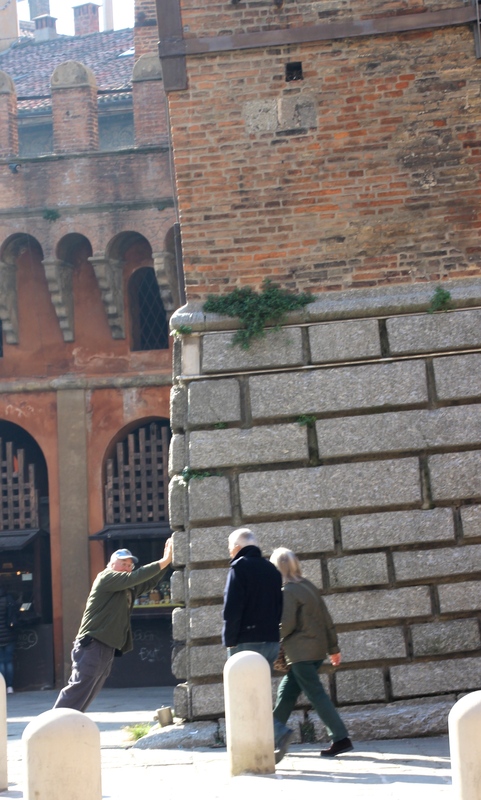 Of the two famous leaning towers, the 97.2 meter Asinelli is the taller. Its shorter and heavily leaning neighbor, the Garisenda, is only 47 meters high. The Garisenda originally reach 60 meters, but the leaning was so extreme, that as early as 1360 it had to be trimmed down for safely reasons. It currently leans about 3.4 meters. 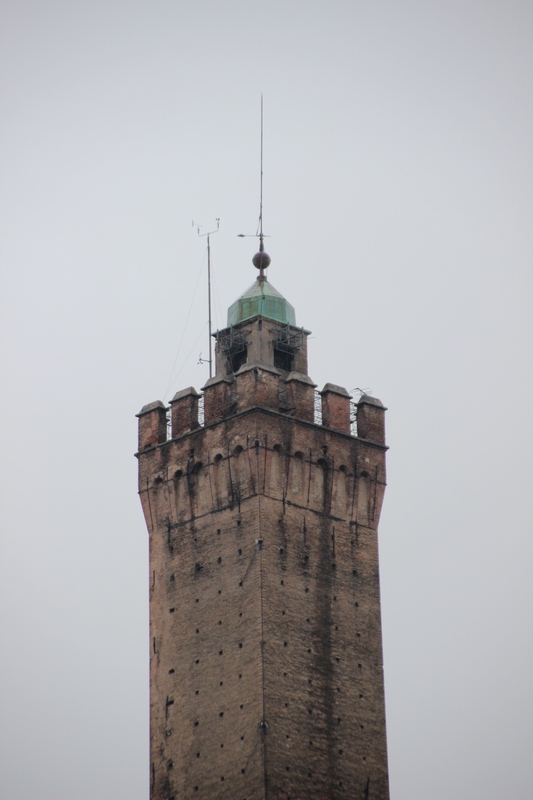 The Garisenda Tower is closed to the public, but for a few Euros and good knees, you can climb the 498 steps to the top of the Asinelli and get a marvelous view of Bologna. 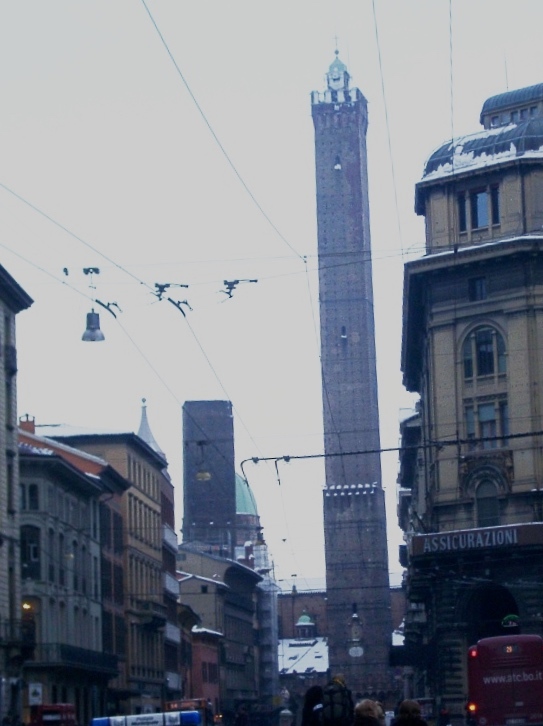 – The Asinelli Tower is a symbol for “all-conquering love,” which, as it turns out, is a theme related to my story. 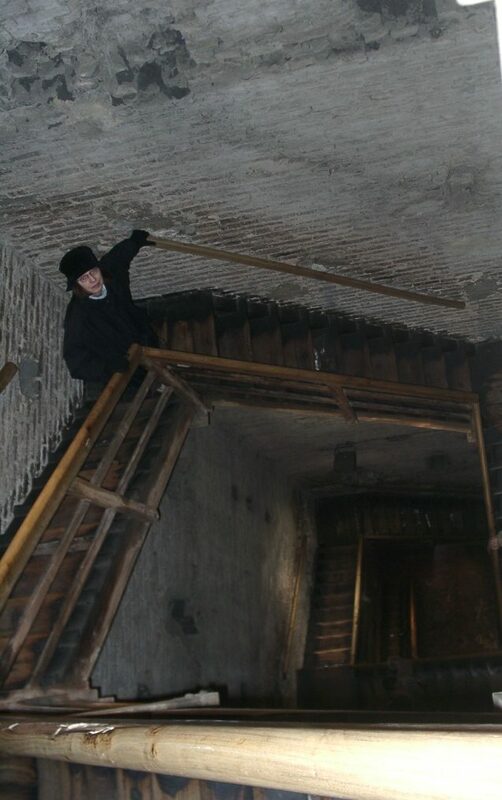 Me climbing the wooden stairs up to the top of the Asinelli Tower. 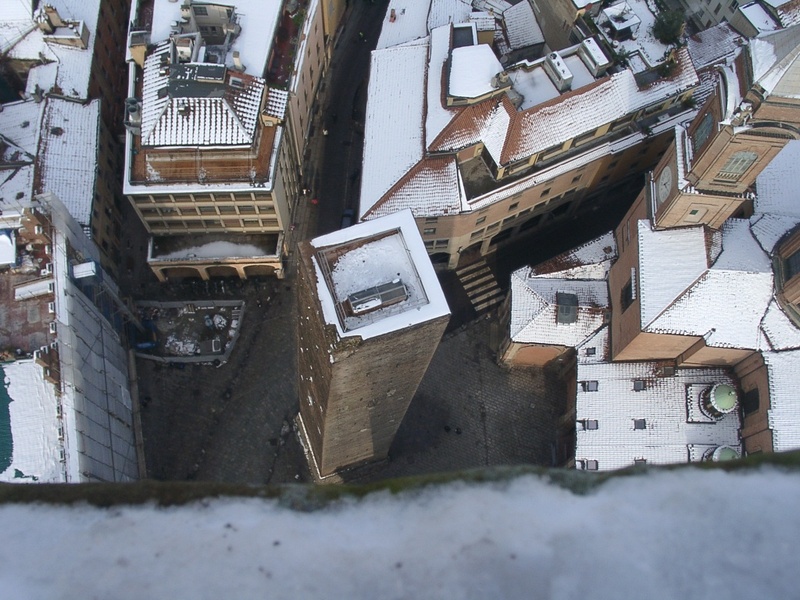 The top of the Asinelli Tower. 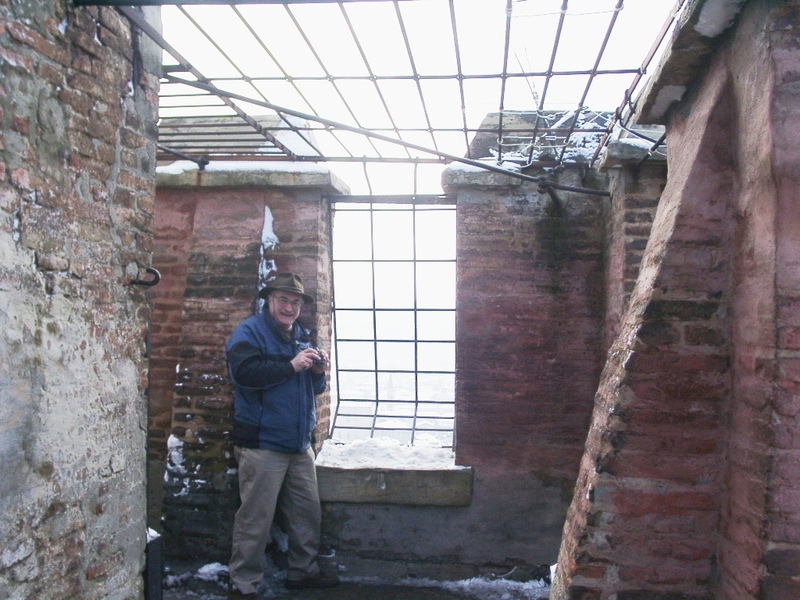 My husband at the top of the Asinelli. View from Asinelli down to Garisenda. 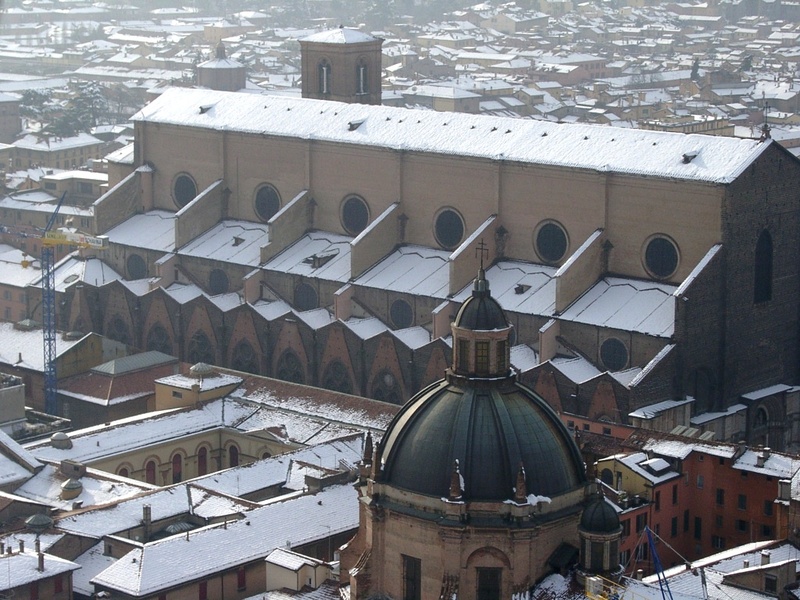 View of the Basilica of San Petronio viewed from top of Asinelli. This entry was posted in Italy.